Did you know, 2018 saw a rapid increase in mixed use property construction? And, the trend shows no signs of slowdown in 2019. In fact, mixed use development is quickly turning into one of the most favored CRE development types in the U.S. Thus, the appeal of mixed use property is its ability to establish destinations that attract tenants, residents, visitors and shoppers. Mixed use development draws folks together to live, work, play and engage with each other. In this article, we’ll explore what makes mixed use property a powerful long-term CRE investment for the foreseeable future. Mixed use property solves some knotty problems and offers several unique opportunities. The major metropolitan areas in the U.S. are densely populated. Consequently, it’s clear that undeveloped land is almost non-existent in the metro areas, creating a supply-constrained market for real estate. Furthermore, mixed use development is an excellent solution to the land shortage, due to its effective use of land. Developers recognize this, and show waning interest in large, single-use urban projects. Investors understand how mixed use property contributes to efficient use of land to create walkable neighborhoods. Communities benefit by the infusion of new activity that mixed use development spurs by incorporating multiple uses into one property. Studies show a correlation between a community’s viability and its walkable areas, thanks to a sense of community. To illustrate efficient land use delivered by mixed use property, consider a recent project in Solana Beach, California. Land was in tight supply in this closely-knit community that looked to mixed use development for growth. 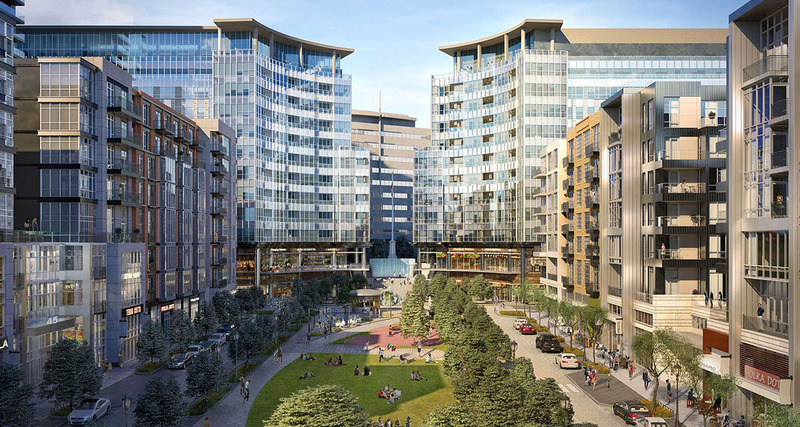 The mixed use development project included multifamily, office, restaurant and retail components. Developers strategically chose the mixed used development infill construction site to extend an existing open-air retail center. The project borders on several other redevelopment projects. The mixed use development project efficiently uses the land for several purposes. This capitalizes on the strong demand for living options, shopping and high-end eateries. The new mixed use property revitalized the city by creating a new micro-community with efficient land use. Today’s lifestyles demand convenience and efficiency. Rather than hopping into a car, residents want to walk to amenities adjacent to their homes. These include nearby retail stores, coffee shops, bars, groceries and restaurants. You can witness this evolution in most major real estate markets. For better or worse, the current generation wants what it wants when it wants it. Perhaps this stems in part from zillions of apps on smartphones, home meal delivery and online shopping. Mixed use property meets this consumer demand by putting multiple amenities cheek by jowl. We see a bright future for mixed use development projects, ensuring community-focused, walkable environments that exude convenience. It’s what residents and consumers crave. Investors need diversification to balance their portfolios and garner a modicum of downside protection. Mixed use property incorporates an assortment of tenants and uses. This helps mixed use property investors guard against large vacancies versus those at single-use properties. Additionally, because of the multiple uses, owners can roll tenants and boost rents, thereby strengthening NOI. Think of the synergies that a mixed use property can provide. For example, shoppers might grab a quick lunch and then attend a movie. Or hotel guests and office workers can go shopping or have a meal when convenient. Mixed use development provides people more of the things they like, encouraging them to stay and spend money at your property. Amazon certainly has changed America’s retail landscape. But online competition only goes so far. Hotels, offices, hair salons, movie theaters and many other property types require your physical presence. If you own a mixed use property that contains vulnerable spaces, you can switch them out for spaces that will continue to draw foot traffic. This is much easier to do compared to single use properties. Studies reveal that you can charge higher rent on the commercial components of a mixed use property compared to single-use properties. Commercial rent typically runs 6 to 12 percent of mixed use property acquisition cost. Compare this to the 1 to 4 percent from residential leases. Millennials are big buyers of mixed use property, in part due to the environmental sustainability of mixed use development. This is especially true when mixed use development repurposes old properties. Not only does this avoid the problems caused by overbuilding, it also introduced new building techniques and materials. Thus, old and inefficient building stock bows to sustainable new properties that incorporate the latest environmental advances. Combine this with the preference of Millennials to walk or bike rather than drive, and its obvious why this group favors mixed use development. Seniors are living longer than ever, and they want to make the most of their golden years. Once content to rock on the back porch, today’s senior wants to rock out in all sorts of new ways. Many gladly downsize from their suburban houses to live in the smaller spaces that mixed use property provides. In return, they have quick access to plenty of amenities without the hassle of driving. A short walk to a restaurant or retail store sounds about right to many seniors. Investors can attract two large markets – seniors and Millennials – through mixed use development. Commercial tenants have a vested interest in maintaining their rental property. That’s because they need to attract the public, and a rundown or dirty store is not good for business. With a good base of commercial tenants, a mixed use property will require less upkeep by the landlord. That can help the NOI of a mixed use property, because you can stretch out some maintenance expenses over a longer time period. Another fact of life is that commercial tenants are not likely to call the landlord at 2 a.m. to fix some emergency. That too can help keep costs down. In addition, commercial tenants are almost always exempt from the residential rent control regulations that pockmark many urban markets. If a commercial tenant is behind on the rent, eviction is fairly easy. Contrast that with the hassle of evicting deadbeat residential tenants. Triple net leases are very popular in mixed use development. Similarly, these commercial leases shift most of the expenses, including taxes, to the commercial tenants. Pick commercial tenants from complementary industries. For example, you’ll add value to a single mixed use property if you lease to a mortgage broker, real estate agent and insurance agent. They will be able to pass referrals among each other, thereby boosting business. Set the residential price points to mesh with the types of commercial tenants you favor. For example, suppose you favor high-end retail stores and classy restaurants. In this case, you’ll want to give the residential portion of the mixed use property an upscale identity. This will entice the kind of commercial tenants you want to draw. It’s good to know, you can add amenities that make life easier for your residential tenants. These can include playgrounds, a health club, community spaces and co-working facilities. As a result, you can’t go wrong with retail tenants that include a grocery, coffee shop and dry cleaner. A suitably equipped co-working space can be a source of secondary income from the building. Furthermore, you can encourage community events to occur at your property. These can include art events, fundraisers, movie nights and small business seminars. This will actively engage residents and help foster a sense of community, which in turn creates loyalty and higher rents.